Federal agents created fake ‘Pay to Stay’ college. NEW YORK: In one of the biggest roundup in a student visa scam, 21 brokers, recruiters and employers – most or all of them of Indian Americans and Chinese Americans – from across the United States who allegedly conspired with more than 1,000 foreign nationals to fraudulently maintain student visas and obtain foreign worker visas through a “pay to stay” New Jersey college were arrested Tuesday morning by federal agents, U.S. Attorney Paul J. Fishman for the District of New Jersey announced. The defendants (see chart below) were arrested in New Jersey and Washington by special agents with U.S. Immigration and Customs Enforcement (ICE), Homeland Security Investigations (HSI) and charged in 14 complaints with conspiracy to commit visa fraud, conspiracy to harbor aliens for profit and other offenses. All the defendants, with the exception of Yanjun Lin aka Aimee Lin, 25, of Flushing, New York, were to appear today before U.S. Magistrate Judge Steven C. Mannion of the District of New Jersey in Newark, New Jersey, federal court. Lin will appear before U.S. Magistrate Judge Karen L. Strombom in the Western District of Washington federal court. According to the complaints unsealed today and statements made in court, the defendants, many of whom operated recruiting companies for purported international students, were arrested for their involvement in an alleged scheme to enroll foreign nationals as students in the University of Northern New Jersey, a purported for-profit college located in Cranford, New Jersey (UNNJ). Unbeknownst to the defendants and the foreign nationals they conspired with, however, the UNNJ was created in September 2013 by HSI federal agents. Through the UNNJ, undercover HSI agents investigated criminal activities associated with the Student and Exchange Visitor Program (SEVP), including, but not limited to, student visa fraud and the harboring of aliens for profit. The UNNJ was not staffed with instructors or educators, had no curriculum and conducted no actual classes or education activities. The UNNJ operated solely as a storefront location with small offices staffed by federal agents posing as school administrators. UNNJ represented itself as a school that, among other things, was authorized to issue a document known as a “Certificate of Eligibility for Nonimmigrant F-1 visa Student Status – for Academic and Language Students,” commonly referred to as a Form I-20. This document, which certifies that a foreign national has been accepted to a school and would be a full-time student, typically enables legitimate foreign students to obtain an F-1 student visa. The F-1 student visa allows a foreign student to enter and/or remain in the United States while the student makes normal progress toward the completion of a full course of study in an SEVP accredited institution. During the investigation, HSI special agents identified hundreds of foreign nationals, primarily from China and India, who previously entered the U.S. on F-1 student visas to attend other SEVP- accredited schools. Through various recruiting companies and business entities located in New Jersey, California, Illinois, New York and Virginia, the defendants then enabled approximately 1,076 of these foreign individuals – all of whom were willing participants in the scheme – to fraudulently maintain their nonimmigrant status in the U.S. on the false pretense that they continued to participate in full courses of study at the UNNJ. The defendants also facilitated the creation of hundreds of false student records, including transcripts, attendance records and diplomas, which were purchased by their foreign national conspirators for the purpose of deceiving immigration authorities. In other instances, the defendants used UNNJ to fraudulently obtain work authorization and work visas for hundreds of their clients. By obtaining this authorization, a number of defendants were able to outsource their foreign national clients as full-time employees with numerous U.S.-based corporations, also in exchange for commission fees. Other defendants devised phony IT projects that were purportedly to occur at the school. These defendants then created and caused to be created false contracts, employment verification letters, transcripts and other documents. The defendants then paid the undercover agents thousands of dollars to put the school’s letterhead on the sham documents, to sign the documents as school administrators and to otherwise go along with the scheme. 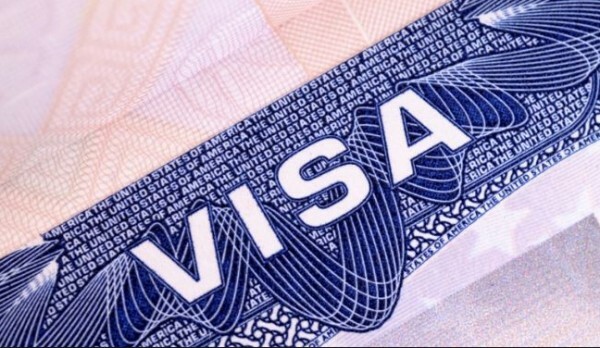 The charges of conspiracy to commit visa fraud and making a false statement each carry a maximum potential penalty of five years in prison and a $250,000 fine. The charges of conspiracy to harbor aliens for profit and H1-B Visa fraud each carry a maximum penalty of 10 years in prison and $250,000 fine. looks like a case of entrapment to me.